The whole yard is more than a little overgrown, and will take quite a bit of work to tame. I have some vague ideas for the rest of the yard, but I’m waiting and considering and letting ideas bounce around in my head and settle before I go anywhere with them. 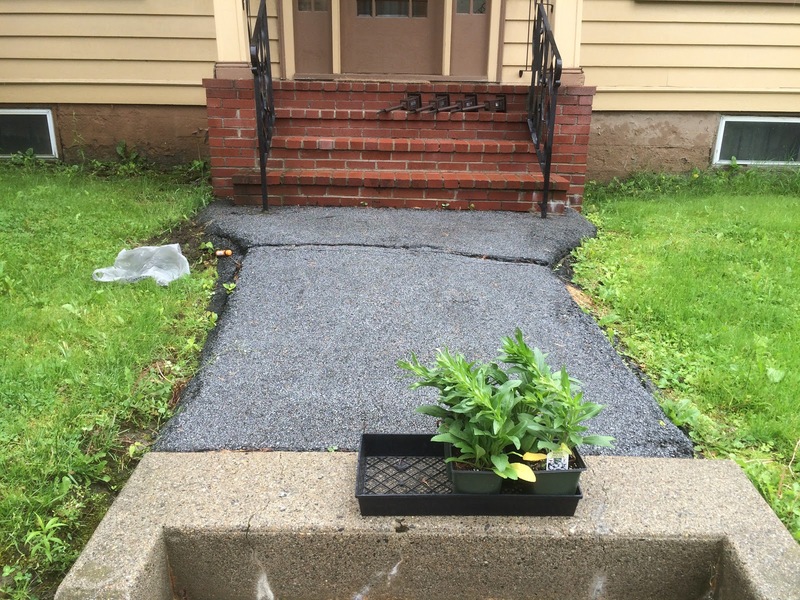 I had an idea for the front walkway start to bounce around a few weeks ago, and in the last week it coalesced. It started with some solar LED lanterns I found at Walmart, which matched both the style and the coloring of the house, and then took off from there. Before: weedy, overgrown, kind of boring, etc. 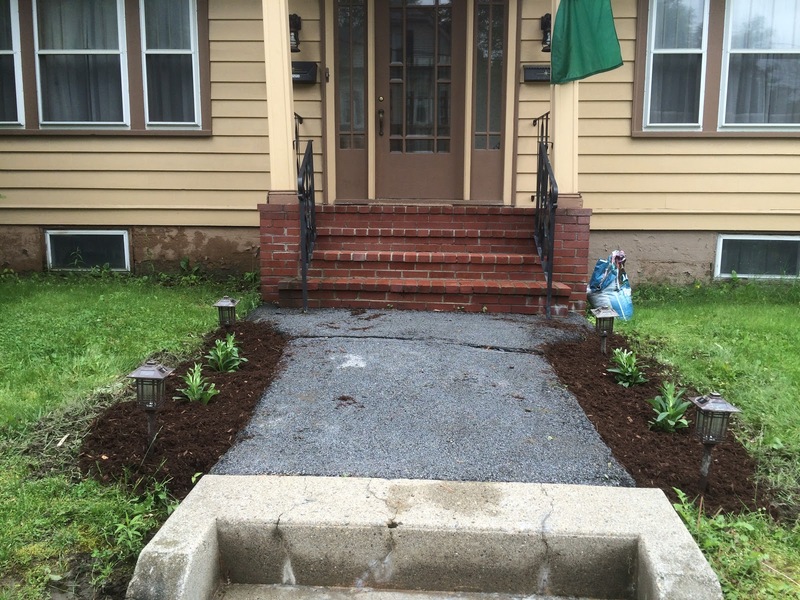 Step 1: Dig out the turf in a small line on either side of the walkway. This sucked. A lot. I can’t overestimate how much it sucked. I did the whole thing on my knees with a plastic hand tool, which really aggravated my back. I can’t recommend it. I spent a lot of time thinking about placement, etc. They are not in a perfect line, but rather a sliiiiiight curve to match the walk. It grieves me a little bit, but the lanterns are easily moved and the daisies will fill in anyway. The plants are “Brightside” Shasta daisies. They are perennial, and will grow in more thickly each year. They’ll also be on the taller side than I might’ve liked, so in a few years if they get out of control I may move the lanterns. We’ll see. 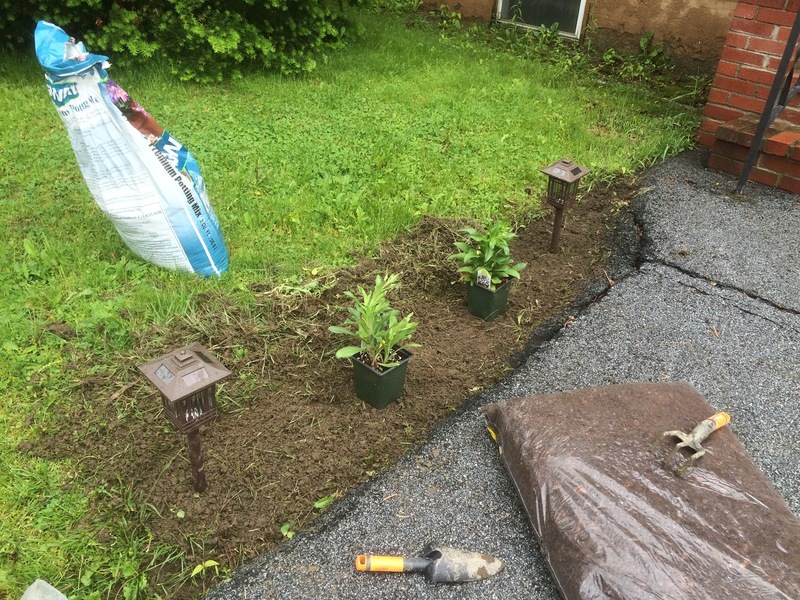 Step 2: Plant the daisies and set the lanterns. I may have half-assed the sod removal on the right-hand side a little bit. #sorrynotsorry. 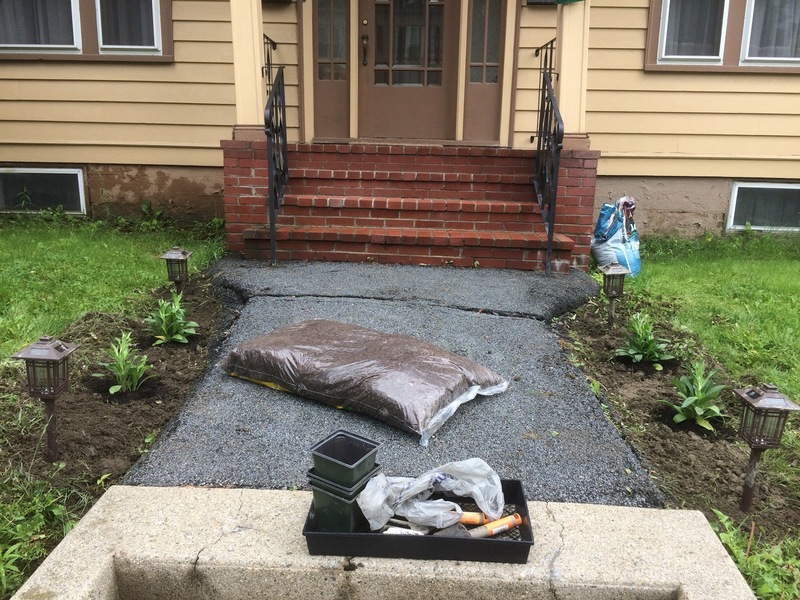 Step 3: Mulch et voila! I still have to remove the piles of sod – you can see them a bit on the side of the mulch – and cut a stronger edging line. A smarter gardener than I would’ve done this from the beginning. A smarter gardener would’ve had better tools, too, and wouldn’t have hated doing this so much, probably. Ah well. At least it looks good! love house posts! keep 'em coming. Looks great! I can't wait to be able to do stuff like this in my first home!